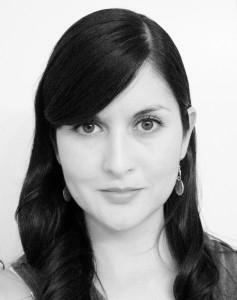 Maru Buendia-Senties, winner of the Cary Grant Film Award by the Princess Grace Foundation (2007), obtained her MFA in Film Production at the University of Texas at Austin in December 2008 and worked for 3 years at Troublemaker Studios in the VFX Department on films like Machete, Predators, and Spy Kids 4. In removed , she worked with director Ric Roman Waugh (Snitch), Peter Landesman & producer Matt Jackson (Parkland). Over 10 years experience working in production, post production and VFX Production Management on Sony, Screen Gems and Annapurna feature films, shows like Shipping Wars, Lucha Underground, Shark Tank, MTV, Disney Channel, TNT & FOX Network , and commercials for Facebook, AT&T, Target and VR experiences. Honored to be part of NALIP: Latino Lens Narrative Incubator 2016 with her most recent SciFi short film Windows and selected as part of 2016 NYFF: Film Society of Lincoln Center Artist Academy. Through her independent company Bloodbank Productions, she has been able to showcase her award-winning films Last Interview,100 Meals, La Pared, Entre Lineas, Bump in The Night & Windows, which showcase her writing and directing as she creates stories that portray deep interpersonal connections and unique idiosyncrasies, while exploring our deepest fears, pushing boundaries and approaching universal themes like identity, belonging, and solitude. Freelance Writer, Director and Producer with experience in films, music videos, commercials & documentaries. On-set VFX Supervisor and VFX Production Manager for feature films and television. Past experience in advertising, photography, and TV production. Specialties: Writer, Director and Producer.